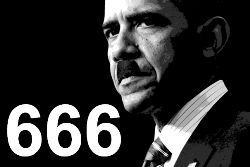 Posted: January 1, 2016 in Breaking News, GITMO Terror, Guantanamo Bay Terror, ISIS Invasion of U.S., ISIS Invasion of US, ISIS Invasion Terror, Terrorist Invasion of U.S.
SWITZERLAND, Zurich — Based on breaking news and events, it appears that the Obama administration (the behest of CIA Headquarters beneath Lake Geneva) is once again preparing to execute the Islamic terrorist invasion of Cuba, most likely via a hijacked ship or make-shift submarine. Said invasion will likely result in a full-scale attack and siege of Guantanamo Bay Naval Base (GITMO) that will free the hundreds of terror detainees currently imprisoned there. Once free, the terrorists along with the detainees will invade the U.S. via the state of Florida. 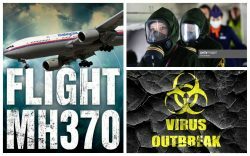 It is highly likely that at some point during the state-sponsored Islamic terror attack/invasion of Cuba, a concoction of bio-chemical weapons emanating from Syria will be released, sparking the bio-terror pandemic planned for 2015. Exactly how the terrorist invasion of Cuba via submarine will transpire is not yet known, but back on August 6, 2015, the U.S. Coast Guard reportedly seized a homemade submarine off the coast of Mexico. The timely seizure was designed to sell the notion that homemade submarines are active in the Gulf of Mexico just prior to a false-flag attack on Cuba by a terrorist laden submarine. The notion that the Obama administration is working on a terror plot to free the GITMO detainees was confirmed back on July 22, 2015, when it was reported that the Obama team is drafting another plan to close Gitmo that is now in its “final stages”. Translation: another false-flag terror plot targeting GITMO is now in play. The terror plot to stage an Islamic terrorist invasion of Cuba via submarine is evidently the last attempt by Obama to free the terror detainees at GIMTO. This very notion was foreshadowed in a report from August 20, 2015, entitled “Obama to Take Last Shot at Closing Gitmo”. Prior to the full-scale terrorist invasion of Cuba and/or Guantanamo Bay Naval Base (GITMO), the world must be psychologically prepared to accept that this is in fact possible. Fraudulent headlines and fabricated events are a slick way of convincing people that yes, it can happen. As evidenced, invasion-related terror is now at an all-time high which suggests that a state-sponsored Islamic terrorist invasion of the United States is imminent. The invasion terror narrative was first identified back on July 24, 2015, when Yahoo News published a report entitled “Saudi King Hits French Beach — With a Cast of 1,000”, foreshadowing an Islamic beach invasion of at least1,000 Islamic terrorists. Three days later on July 27, 2015, it was reported that illegal immigrants stormed Miami Beach during a model’s photoshoot. A day later on July 28, 2015, the U.S. Border Patrol reportedly responds to a video of illegals ‘storming the shore’ in Miami, an apparent preview of things to come post Cuba-terrorist attack. A day later on July 29, 2015, it was reported that a man died after 1,500 migrants from Africa and the Middle East stormed the Eurotunnel between England and France. Needless to say, these reports, taken collectively, suggest that a state-sponsored Islamic terrorist invasion of the United States is imminent. The notion of a beach-related terror attack was recently witnessed back on June 26, 2015, when a beachfront hotel in Tunisia came under terror attack by Islamic gunmen who opened fire, killing at least 60 people. Since the terrorists responsible for the Tunisian attack have not yet been apprehended, they may be scapegoated for an impending attack and subsequent invasion of Cuba and/or the United States. Said terrorists will likely make their way to North America via a hijacked plane or ship. In what appears to be pre-beach terror programming, it was reported back on July 11, 2015, that a Rhode Island beach was evacuated after witnesses report an explosion. The incident was likely staged in order to set the precedent for a beach-related terror attack. That same day, July 11, 2015, it was also reported that 7 lifeguard stands were stolen from a Delaware beach. Again, the incident was likely staged in order to sell the notion that American beaches are vulnerable to crime, making the notion of a beach-related attack seem all the more plausible. 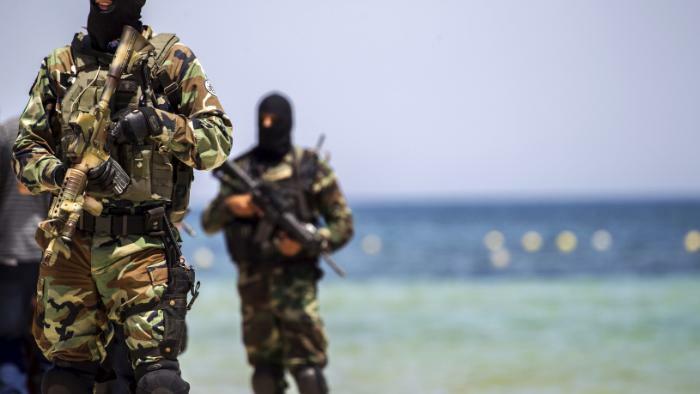 In order to rehash the Tunisian beach massacre just prior to another beach-related attack transpiring in reality, traitorous Inforwars published a report back on July 12, 2015, entitled “The Proof Terror Gang Drove Tunisian Gunman to Massacre Beach”. A week later on July 19, 2015, a World War II-era military ordnance was spotted in the Florida surf. The incident was likely the result of a foiled terror attack targeting beaches in Florida. That same day, July 19, 2015, storms reportedly closed Los Angeles beaches, causing power outages. A day later on July 20, 2015, the aforementioned World War II-era explosive was detonated on the beach in Florida. Four days later on July 24, 2015, the aforementioned explosion on the beach in Rhode Island blamed on hydrogen gas, potentially foreshadowing an impending bio-chemical attack by invading terrorists. Lastly, on July 24, 2015, Russia Today published a report entitled “Human Torch: Surfer Catches a Wave While on Fire”, foreshadowing fire on an American beach just prior to an explosive invasion by a state-sponsored Islamic terror group. 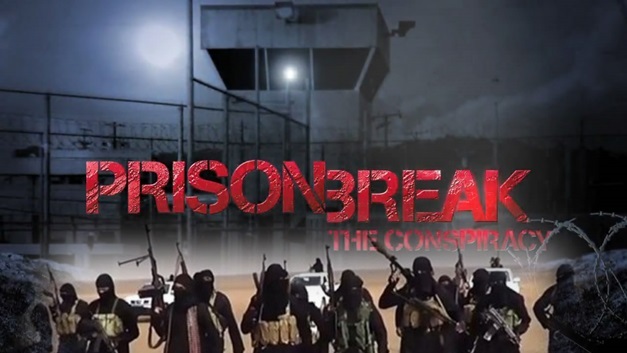 The notion that ISIS is planning a major prison break was first identified back June 10, 2014, when ISIS terrorists attacked an Iraqi prison, freeing 2,500 prisoners. Roughly 6-weeks later on August 24, 2014, 3 people were killed in failed Afghanistan prison break. Exactly a week later on August 31, 2014, 12 more people were reportedly killed in an Islamic terror attack on a Somali prison. Most recently, on May 9, 2015, it was reported that 36 people were killed and 40 inmates escape in Iraq prison break, including terrorists. That same day, May 9, 2015, ISIS predictably claimed responsibility for deadly prison break in Iraq. Needless to say, terrorist attacks on prisons are trending which suggests that a state-sponsored attack on GITMO may be imminent. Prior to a high-profile prison break at Guantanamo Bay, Cuba, the world must be psychologically prepared to accept that this is in fact possible. Hollywood movie propaganda is a slick way of showing that yes, it can happen. “Camp X-Ray” (2014) is a film (see trailer) about a GITMO detainee who receives sympathy from the U.S. guards, foreshadowing that the impending prison break will be the result of an “Inside Job”. The propaganda film debuted in U.S. theaters on October 17, 2014, just in time for the impending prison break at Guantanamo. In what appear to be more pre-Guantanamo Bay prison break Hollywood propaganda, it was reported June 6, 2015, that the new season of the hit television show “Orange is the New Black” has been released. The Netflix prison-based series was specifically designed to program Americans for a Guantanamo Bay prison break by detainees wearing orange and black. When President Obama (at the behest of the CIA) inexplicably exchanged 5 Guantanamo terrorist detainees for Sgt. Bowe Bergdahl on May 31, 2014, he did so in order to set-up a terrorist attack on Guantanamo Bay Naval Base (GITMO) in Cuba which will end with the release of the world’s most dangerous terrorists. The impending GITMO prison break has been exposed ad nauseam by Truther.org, minus of course the latest ISIS twist. With intimate knowledge of GITMO, the aforementioned Taliban commanders will likely link up with ISIS terrorists and make their way back to Cuba in a heroic attempt to free their Islamic brethren (i.e., the high value terror detainees). Once free, the deadly concoction of terrorists will infiltrate the United States via the state of Florida where they will begin to execute an unprecedented wave of terror across America. The 5 Guantanamo terrorist detainees, which are now being called the “Taliban Dream Team”, were allegedly the most dangerous Taliban commanders in U.S. custody and were reportedly labeled a “high risk” in 2008. Needless to say, it’s just a matter of time before “jihad” terror attacks against U.S. interests are attributed to them, the first of which may transpire at GITMO in Cuba. The notion that the newly freed Taliban terror detainees will return to the U.S. was all but confirmed on June 6, 2014, when released Taliban commander Noorullah Noori promised to return to fight Americans. With the U.S. government looking to free even more GITMO terror detainees on the heels of Bergdahl swap, Islamic terrorists around the world can only feel emboldened by Obama which is exactly what the CIA wants people to believe. In short, the prisoner swap was executed in order to set-up Islamic “jihad” attacks in America that were masterminded by the Noori and his terror cell. Lastly, on May 2, 2015, it was reported that the U.S. is now in talks to keep restrictions on ‘Taliban Five’ as the previous deal set to lapse. The timely report was designed to foreshadow the notion that the Taliban Five will become active once the deal lapses, possibly spearheading an attack on Guantanamo Bay in Cuba. Aside from recent claims that Camp 7 at GITMO is “apparently falling apart”, a June 18, 2014, report stated that Camp X-Ray is not aging well either. According to the reports, it’s been 12 years since Camp X-Ray has been closed and only a padlocked chain link fence keeps people out. Evidently, the timely propaganda reports were designed to infer that GITMO is old, dilapidated and vulnerable to terror attack. In an April 13, 2014 Associated Press report, Guantanamo Bay’s secret “Camp 7” was openly exposed which may indicate that GITMO may soon suffer a terrorist attack. According to the report, attorney James Connell visited the secret Guantanamo prison complex known as Camp 7 in order to meet with his terror detainee client Ammar al-Baluchi. Connell, who was reportedly taken secret covered military base in a van with covered windows, was explicitly ordered not to say what he saw at the secret camp. Since attorneys are in essence trained liars, Connell may divulge information about Camp 7 for the right price. Therefore, it’s possible that he was able to garner the exact location of Camp 7 using a GPS tracking device via a microchip, laptop or cellphone. 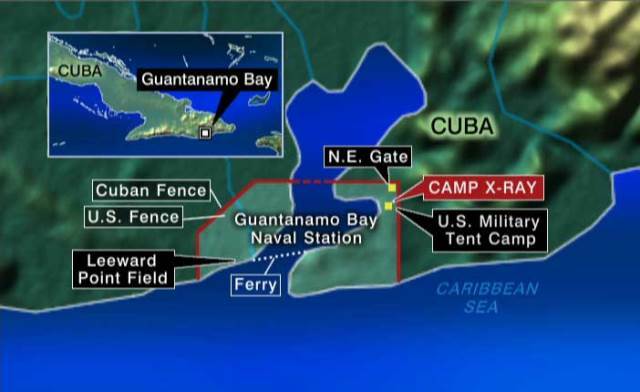 According to the report, Camp 7 is “so shrouded in secrecy that its location on the U.S. base in Cuba is classified and officials refuse to discuss it”. Consequently, Camp 7 is not mentioned in the military media handout about the detention center, it has never been part of the scripted tours of Guantanamo, and there are no published photos of it. In other words, Camp 7 is highly classified for it is where “the most notorious terror suspects in U.S. custody are held”. According to the AP report, Camp 7 holds 15 of the 154 prisoners at Guantanamo, including Khalid Sheikh Mohammed, who is touted as the mastermind of the 9/11 attack. Camp 7 also holds a Saudi prisoner who has been charged with orchestrating the deadly USS Cole bombing in 2000. In order to bring unprecedented media attention to Camp 7 just prior a terrorist attack, the Senate Intelligence Committee voted on April 3, 2014, to declassify a portion of a review of the U.S. detention and interrogation program. This motion was opposed by the CIA because it is expected to disclose various facts related to torture, especially in Camp 7. Interestingly, the report states that Camp 7 is “apparently falling apart”, thereby making it vulnerable to an impending terrorist attack. Marine Gen. John F. Kelly, commander of Miami-based Southern Command, reportedly told Congress that Camp 7 has become “increasingly unsustainable due to drainage and foundation issues” and needs to be replaced. In the wake of a successful prison break, Camp 7’s shoddy condition will likely be cited in Congress as the main reason that base security was breached. In order to psychologically prepare Americans for a full-scale ISIS terrorist invasion, a number of propaganda reports have been published which infers that the U.S. border is unsecure and vulnerable to potential terrorists. For example, on July 5, 2014, it was reported that ISIS has ties to Mexican drug lords, implying that the terrorists will get help from Mexico or South America. Two days later on July 7, 2014. Fox News published a report entitled “Border Crisis Could Provide Cover to ISIS Operatives”, foreshadowing the notion that in the aftermath of an ISIS terrorist invasion, illegal immigrants will be scapegoated. Two days later on July 9, 2014, it was reported that a Muslim prayer rug was found on the Arizona Border, a report designed to show that Islamic terrorists have already breached the U.S. border. Lastly, two days later on July 11, 2014, it was reported that TSA is now allowing illegals to fly without a verifiable ID, furthering the notion that U.S. border security is compromised. 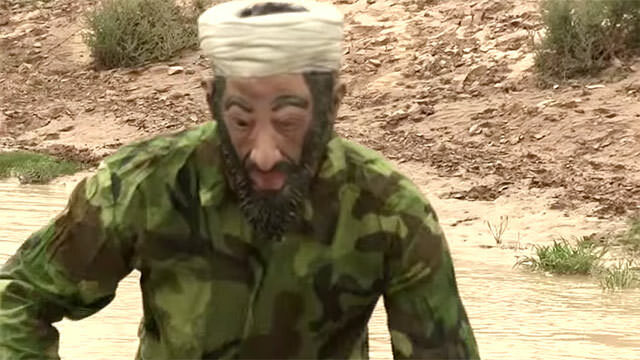 Roughly a month later on August 13, 2014, a CIA-spawned “Bin Laden” stunt” drew unprecedented media attention to the Texas border and the notion that Islamic terrorists could be entering the United States. Roughly a week later on August 21, 2014, Texas governor Rick Perry stated that terrorists could be entering the U.S. from Mexico. Roughly a week later on August 29, 2014, a federal bulletin ominously described the threat of an imminent terror attack on the southern U.S. border. Needless to say, the Obama administration appears to be getting ready to execute on the U.S. emanating from the south, most likely Cuba. Posted: October 27, 2015 in Breaking News, Cuban Terror, GITMO Terror, Guantanamo Bay Terror, ISIS Invasion of U.S., ISIS Terror, Jihad Terror, Ship Terror, Terror Alerts, Terrorist Invasion of U.S.